Vivo has a series of flagship models in its X-series at different price points set to be launched in 2018 including Vivo X21 and X21 UD, with impressive specifications. The flagship model was recently spotted on Geekbench that confirmed its already known specs and its imminent launch in various South East Asian countries. 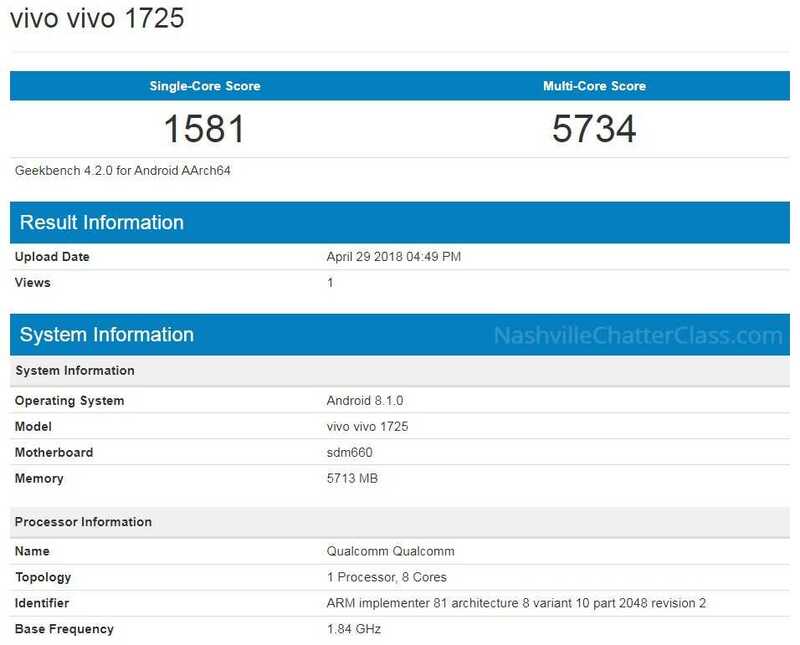 According to the Geekbench listing, the new device goes by the model number Vivo 1725 and runs on Android 8.1 out of the box. The phone uses an 8 core 1.84 GHz Qualcomm Snapdragon processor with 6 GB of RAM. The Vivo X21 has scored 1581 in single core test and 5734 in multi-core test. As always, the Geekbench listing does reveal quite a few hardware specifications of an upcoming model but it doesn’t provide info on the camera, battery or more info. The phone has already been announced in China which should give a clear picture of what to expect when the X21 gets launched in other countries. The Chinese audience get two different versions of the Vivo flagship, the X21 and the X21 UD. While there are two different model numbers, the hardware specifications are exactly the same. Both models sport a 6.28-inch super AMOLED Full HD display with a resolution of 2280 x 1080 pixels which correspond to an aspect ratio of 19:9. The devices are powered by the Snapdragon 660 processor clocked at 1.84 GHz. The come with 6GB of RAM and run on Android 8.1 Oreo just like the X21. The displays come with an aspect ratio of 19:9. There are three main differences between the two models. Internal Storage: The X21 comes with storage options of 64GB or 128GB whereas the X21 UD comes only with 128GB. Fingerprint Sensor Placement: The fingerprint sensor is located at the rear end of the phone along with the cameras in Vivo X21 model whereas the X21 UD will figure in-display fingerprint sensor. As the name suggests, UD stands for Under Display fingerprint sensor. 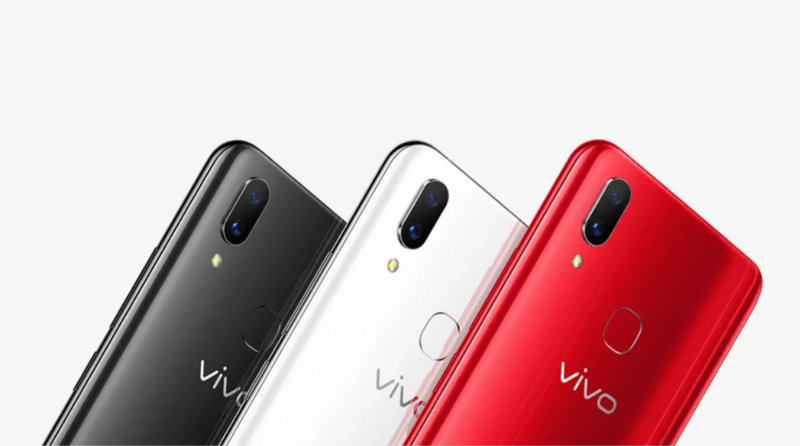 Color Variants: Vivo X21 will be available in Ruby Red, Black and Aurora White whereas X21 UD will be available in Black and Ruby Red colors. The Vivo X21 has a dual 12-megapixel camera and a 5-megapixel camera in the rear while a single 12-megapixel camera is in the front for selfies. The dual rear cameras are equipped with all the basic essentials including LED flash, autodetection, face detection and HDR capabilities. The new model is powered by a 3,200 mAh battery which should comfortably run an entire day without hiccups as Google has improved Android Oreo with lots of battery saving features. Besides, the Snapdragon 660 is an efficient processor designed to balance performance and battery life. The Vivo X21 is priced at 3198 Yuan in China for the 128GB model and the 64GB costs lesser at 2898 Yuan. The price of Vivo X21 UD is 3598 Yuan. Considering the hardware specifications of the phone and the processor used, the pricing seems legit which might vary based on the region. The phone is already certified by the NCC in Taiwan, SIRIM in Malaysia and from the certifications received in countries like India and Singapore, we can confirm that the Vivo flagships will be released here as well. Previous Previous post: Xiaomi Mi Pad 4 with 18:9 Display and Snapdragon 660 Arriving Late to the Party: Is it for Real?